Babies now-a-days have it so good. 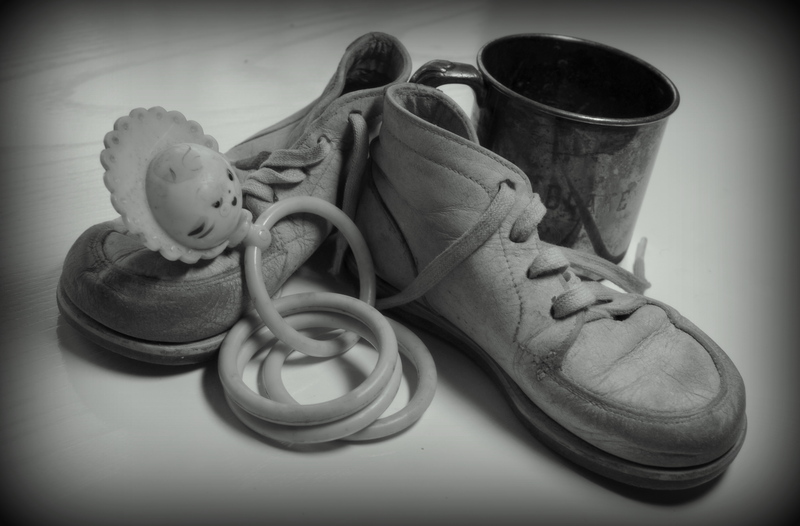 Back when I was born, babies were lucky to have a rattle, a scuffed up pair of leather shoes and an old tin cup. We didn’t have all this highfalutin’ paraphernalia. No siree, we got by with a few boxes and an imagination. Actually, I can’t wait to spoil these sweet peas. I long to call you both by name. This entry was posted in Family File and tagged babies, cups, grands, rattles. Bookmark the permalink. Oh Dinah how I have enjoyed your daily count down. I love catching up on your family and your life. Do you have a site where I can view Anna’s wedding? I saw the posts you had with the count down to the wedding, but did not see the photos and a commentary about the wedding. Was it in Baraboo? Did Blake perform the wedding? I am so excited for all of you. Life in the Overlein household has always been one of keen interest for me. Maybe that is why I loved coming to your house for all those years for Wednesday bible study. I was able to hear you and see you. I am a big fan of yours if you did not know this. Let me know if there is another email address I could write to you on. I am hoping this is not a public site I have responded to. Thanks so much for reading! You are such a dear! Your sparkle and energy made those Wednesday mornings so much fun. I’m thankful for those years and the friendships that still bless me. You can email me at dinah.overlien@gmail.com. I’d love to keep catching up and hear about what’s going on in your household. Are you on facebook? Blessings! YAY YAY!!!!! I’m so happy for you all!!!! How exciting!!!! I can’t wait to see pictures of the adorable Aderton twins!!!! Praying for Anna and the babies today, for rest, for peace, for protection, and for a very quick recovery!!! So exciting! Love you Aunt Dinah!